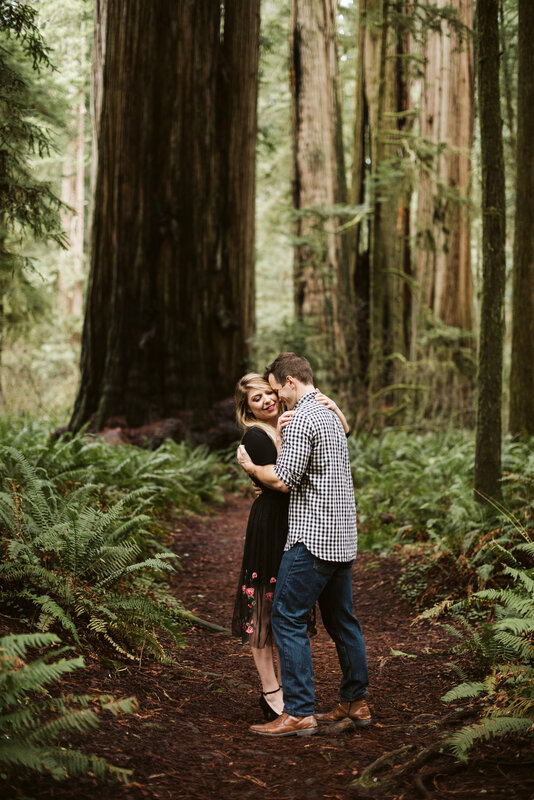 Beautiful bridal elopement style portraits of this Texan couple here on their honeymoon in the Northern California Redwood Forest. The magic of the Redwoods is something timeless. It speaks of things in this world that have seen more time than we ever will. The canopy of giant majestic whispering branches provides a peace and stillness. You can just take in deep breaths and feel the peace within. The Redwood Forest provides protection year round. Even on rainy days it does not rain as hard within and on sunny days it is never too bright. 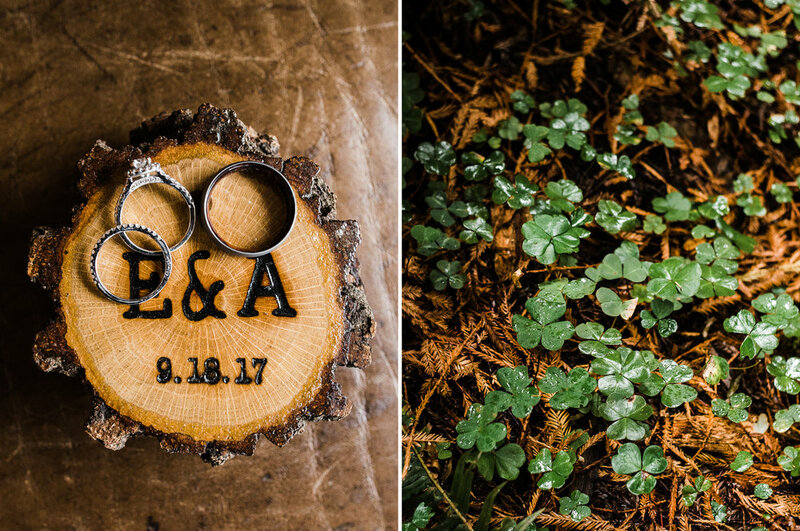 Weddings and elopements are so romantic set among the ancient groves. Portraits for families, engagements, maternity or senior/individual have such depth to them with the wooded areas and greens. The forest lighting can at times be tricky especially on dark days but after many sessions within the forest we shoot there with knowledge and experience. Being located in Oregon and within an hour and a half of this Northern California beauty just outside of Crescent City is wonderful. It allows me the freedom to venture in at any time and be inspired and create magic with you all. 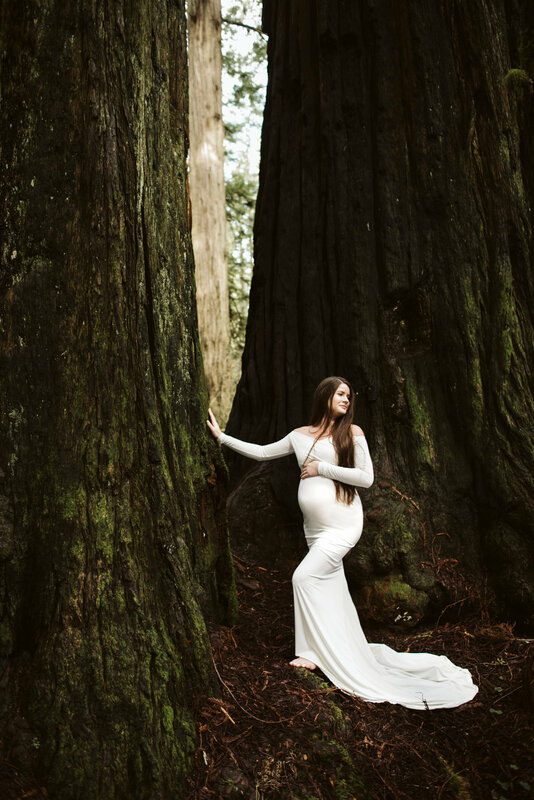 Redwood Portrait Sessions: One hour in length, a host gallery of 40-60 images with a choice of 25 high resolution fully retouched photos for download and print release. $100 retainer to book and $300 due on session date.